Banner Witcoff received Managing Intellectual Property’s 2019 “Impact Case of the Year” award for its work representing Converse in its trademark battle against entities selling knock-off versions of the company’s iconic Chuck Taylor All Star sneaker. 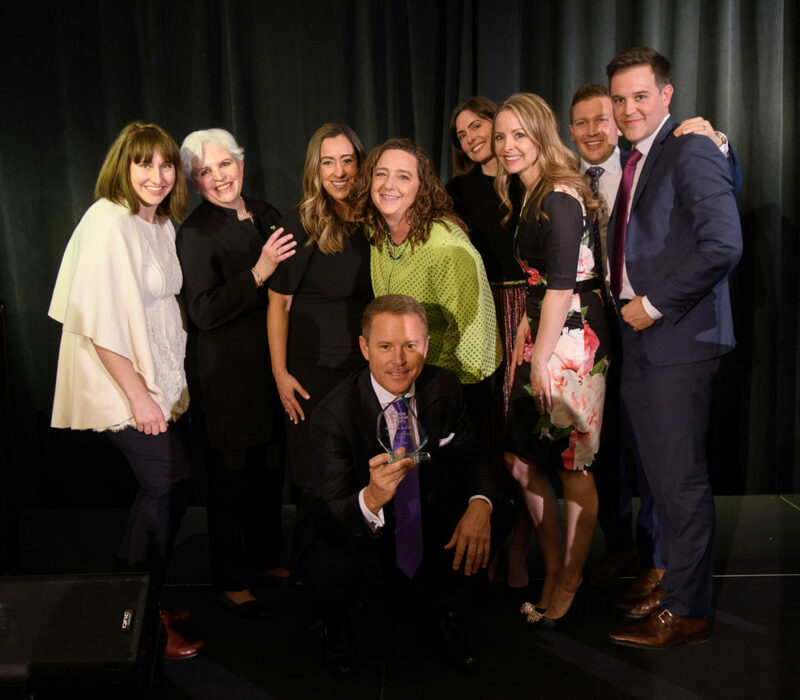 Managing IP presented Banner Witcoff with the honor at its annual awards program, which took place April 4 in New York and recognized top IP law firms and practitioners for their achievements in 2019. 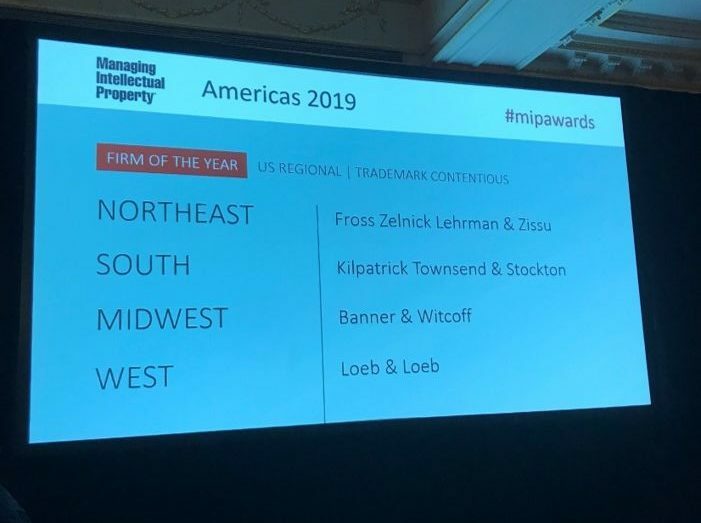 Banner Witcoff’s trademark practice was also named “Trademark Contentious Firm of the Year” and “Trademark Prosecution Firm of the Year” among Midwest law firms. Click here to learn more about Banner Witcoff’s work on the Converse case, which won Managing IP’s “Impact Case of the Year” award. 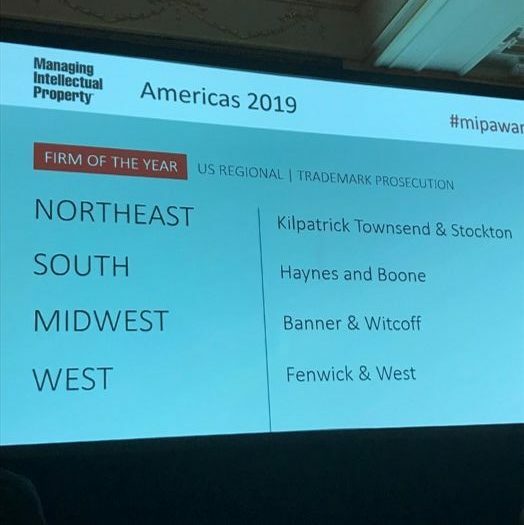 Banner Witcoff attorneys at The 2019 MIP Americas Awards. Front: Christopher Renk; Back (Left to Right): Maurine Knutsson, Helen Hill Minsker, Katie Laatsch Fink, Janice Mitrius, Anna King, Audra Eidem Heinze, Aaron Bowling, Michael Harris. 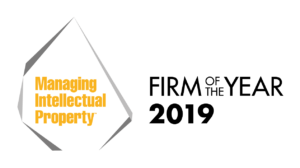 Previous PostBTI Consulting Recognizes Michael Harris for Superior Client Service in 2019 All-Stars ReportNext PostBanner Witcoff Sponsors April West Suburban Corporate IP Roundtable Program in Oak Brook, IL.